Last week a dead whale was found off the coast of the Philippines. The whale had died from ingesting more than 40 kilograms of plastic. When marine biologists examined the contents of the whale’s stomach they found it was full of single-use plastics like rice sacks, grocery bags, straws, and packing tape. There was even a pair of flip flops and 115 plastic cups lodged inside the whale’s stomach. How often do whales and other marine life die from ingesting single-use plastics? What’s shocking is events like this are not rare. Marine mammals, seabirds, fish, and countless other animals die from ingesting plastics all the time, and it’s mostly single-use plastic that’s killing them. With so much plastic in the ocean today, all sizes of marine life, from the Blue Whale to microscopic organisms, are negatively impacted by the plastics in our oceans. Around the world, an estimated 100,000 marine mammals die each year from just becoming entangled in plastic and many more die from ingesting it. Should the government regulate the use of single-use plastics? Limiting and regulating the use of single-use plastics is one of the best things we can do to curb the volume of plastics in our oceans. Because single-use plastics are exactly that, meaning they’re used once and then thrown away, they build up fast and an individual’s impact can grow exponentially. Think about all the Tim Horton’s and Starbuck’s coffee cup lids, plastic straws, and grocery bags the average consumer in Newfoundland uses. It’s a large amount. How much plastic does the average Canadian use every year? If you did an experiment and collected all the single-use plastics one person uses in a calendar year and consolidated them in one pile, you would most likely be astounded at how big that pile actually is. The average Canadian uses over 80 kilograms of plastics every year and the majority of it are single-use plastics. 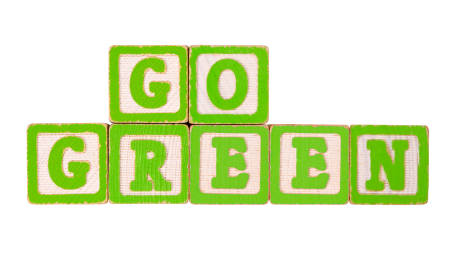 Why should businesses consider going green? It’s great to see businesses big and small take an interest in protecting the environment. While many entrepreneurs choose to make green choices and follow best environmental practices because of their desire to protect the environment, most are surprised to discover adopting a culture of conservation is positive for their bottom line too. When a business embraces environmental stewardship and conservation, it’s not only doing great things for the environment but the business is also making a positive financial decision. Consumers prefer products that are less harmful to the planet, and this sentiment is particularly evident in younger demographic cohorts. People are willing to pay more and go out of their way to seek out sustainable products and services. Should the government ban single-use plastics or should the onus be on small businesses to implement environmental stewardship and conservation? Governments are the ones with the real power to implement swift effective change. Municipal, Provincial, and Federal levels of government can all play key roles in limiting single-use plastics. They can make change happen quickly with powers to enact and enforce legislation supporting the same. Many small communities, like Fogo Island, have banned single-use plastic bags. On Fogo Island, it’s not just one or two stores that have switched from plastic bags to paper and other more environmentally friendly alternatives. Because the municipal government on Fogo Island implemented a ban on single-use plastic bags, the use of single-use plastic bags on Fogo stopped virtually overnight, with the single-use plastic bag ban applying to all businesses equally. While the cost of supplying paper bags to consumers instead of plastic is marginally higher, since all businesses need to comply with the single-use plastic bag ban, none of them are put at a local disadvantage against their competitors, making it easier for everyone to comply. What is the best way to deal with single-use plastics like Tim Hortons and Starbucks disposable coffee cup lids? If you’re used to just showing up at your local coffee shop, ordering a coffee, and then walking out with it in a paper cup, it may be harder than you think to switch to a travel mug. Everyone likes the idea of being environmentally friendly, but when it comes down to it, most people forget to bring their own cup and subsequently millions of single-use plastic coffee cup lids get tossed each year. Most purveyors of hot drinks will give you a symbolic ten cent discount when you bring your own cup, but because the discount is so small, it’s ineffective in motivating consumers to bring a travel mug to the drive-through. If, however, the government stepped in and imposed say a one dollar tax on every single use cup, consumers would feel a significant financial impact when choosing a single use cup over a travel mug, and this burden would be largely effective in curbing consumer behavior. Consumers that truly need a paper cup would still have access to one, and the added tax revenues from the newly imposed paper cup tax could be used for initiatives related to environmental stewardship and conservation. On March 11, 2019, MNL will partner with the Plastic Bag Ban of Newfoundland and Labrador group to stage a #BanTheBag Social Media Day of Action to call on the provincial government to develop a province-wide ban on single-use plastic bags. How should we deal with single-use plastics in Newfoundland? What we would like to see is an effort to provincially ban single-use plastics and make Newfoundland a leader in conservation and sustainability. That would be good for the economy and the environment.